Drain cleaning is one of the most important aspects of home maintenance. 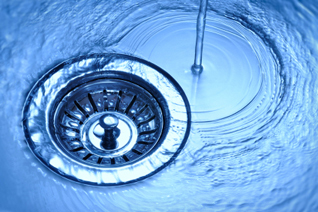 A clogged drain not only causes annoying water back up, but can also cause a variety of other problems. Sitting water can result in a number of different health and safety issues that can plague a family. In addition, water that is slow to drain can cause permanent damage to home fixtures. Copperworks Plumbing can help you get your drains back under control. Help prevent clogs it is important to have your drains cleaned every so often. Otherwise, build up can occur and will eventually cause a blockage. Drain cleaners can be harsh on the sewer and septic systems but there is another alternative. Whether it’s a toilet clog or bathroom sink stoppage that you need or an annual drain cleaning and inspection we can handle the job. Cleaning drains is a huge part of our business and we feel confident we can give you the results you expect.